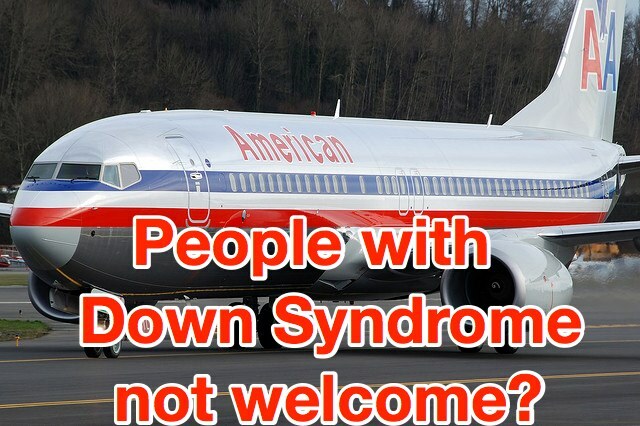 American Airlines Doesn’t Want People With Down Syndrome To Fly First Class? You are here: Home / Resources / American Airlines Doesn’t Want People With Down Syndrome To Fly First Class? This is the 3rd story I’ve posted like this. I’m not sure if it’s because I’m becoming more sensitive to stories about people with Down syndrome being treated unfairly, or if the media is just starting just starting to report more stories like these. Either way, I think this story deserves to have some attention. American Airlines refuses to allow a teenager with Down syndrome to fly first class? The Daily News published a story today about a 16 year old boy with Down syndrome, and their family, being denied boarding on an American Airlines flight. 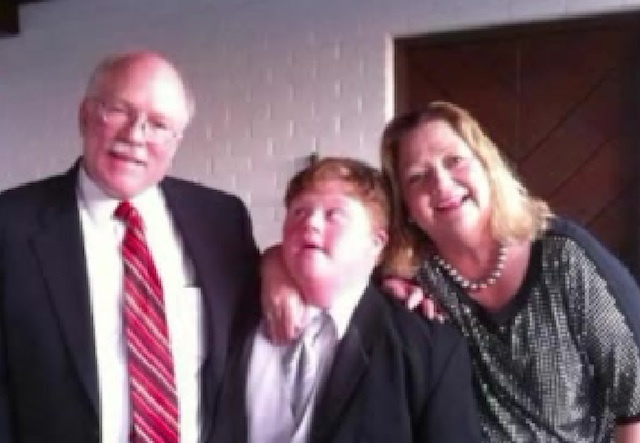 The Vanderhorst family claims they purchased first-class tickets for their Newark to Los Angeles flight, and were kicked off the plane before ever even getting on it, because their teenage son had Down syndrome. In fact, the family believes that American Airlines specifically banned their son from the flight because they didn’t want someone with Down syndrome sitting in first class. I’ll be honest, I’m very skeptical when I hear a story like this. I’ve noticed that some parents of children with special needs are hyper sensitive, and interpret every un-fun situation that happens to their child as someone singling them out because they have special needs. There 15 month old with Down syndrome can’t ride The Texas Giant? It’s because he has Down Syndrome! Their 3 year old with Autism can’t buy pancakes after 10:30 in the morning at McDonald’s? It must be because their daughter has Autism! Their 15 year old with cerebral palsy can’t buy a last minute ticket to see the new Harry Potter movie because the movies sold out? No way! It has to be because the movie theater doesn’t like people with cerebral palsy! I also read that the parents were already talking about suing American Airlines, which only made more suspicious that these parents were indeed those parents. Again, these were just my initial thoughts. Then I saw this video…. When American Airlines told the family that their son couldn’t board the plane because of “security concerns” Mrs. Vanderhorst grabbed her camera phone (thank the Lord for technology!) and recorded some of American Airline’s gate agents telling them that their son wouldn’t be allowed on the flight. You can hear the mother sobbing in the background, and very hurt because of the way they felt they were being treated. Even when I heard that part of the news interview, I still thought, Yah, but maybe their son wasacting out of control. Let’s see some video of their son. 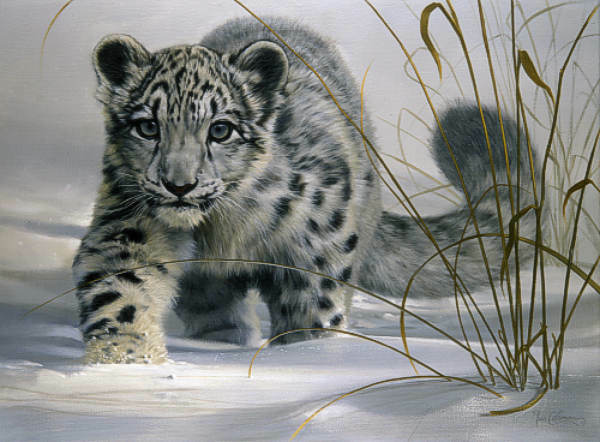 Then the camera pans over to their son, who is not “agitated” at all. In fact, it appears that he is simply sitting quality in his seat, waiting to board the plane. I’ve learned in life that there are always two sides to every story. It’s easy to jump down the airlines throat and assume the worst. I’ll be honest, I would have liked to have seen some video 20 minutes before this one. Perhaps their son was behaving inappropriately and the parents weren’t paying attention because they were to busy checking email on their iPhone (anyone else guilty of this beside me?) The then, once the family found out they weren’t able to board the plane, they scolded their son, told him to sit down quality, and that’s the only part that made the video. I have no way of knowing since I wasn’t there. On the other hand, American Airlines said in their statement that the pilot’s talked to the family and tried to help their child get “comfortable.” The family claims that is an outright lie, and that no pilot spoke to them prior to their son getting kicked off the flight. Also there are no witness’s to their son’s claimed “bad behavior.” I’ve been to many airports, and very seldom are they not busy… especially on a Sunday afternoon. It sure seems that if their son was indeed behaving so inappropriately as to cause a safety concern for other passengers, there would have been a lot of witnesses. Additionally, The Huffington Post is reporting that the family didn’t even get to fly on a later American Airlines flight, instead the Huffington Post is reporting that the family was rebooked on an United Airlines flight…in the coach section of the plane. And to make matters worse, KTLA is reporting the family did not even receive a refund for the the first class upgrade fee they paid. Again, I wasn’t there, and I have no idea what really happened. To be honest, I’m 100% sure American Airlines as a company doesn’t deny passengers with Down syndrome, or any otherspecial need, to board a flight, regardless of where they sit. Could you imagine the liability on their hands if that was the case? I have no way of doing for sure. But I sure hope this didn’t really happen as the media is reporting it. And thank you Lord, for not letting me be that dad, because I’m not 100% sure how I would have responded. By the way, in case you were wondering if it’s hard for someone with Down syndrome to fly on an airplane, check our this video of our son’s first flight, and you tell me. What do you think of this story? Did American Airlines make a huge mistake? Are the parents blowing things out of portion? Or, is it just to hard to tell? By the way, have you ever felt discriminated against while traveling with your child with Down syndrome? Or on the other side of the coin, do you have any fun travel stories to share? (I like those better!) Be sure to leave a comment below and tell us about it.